Located in the heart of Watford, this hotel is just a 5-minute walk from Watford Junction Railway Station, the town centre and its busy shopping streets. From there it takes just a 20-minute train ride to get to Euston Station in central London, which means that both business and leisure travellers can use the property as their hub. Business travellers can also find 8 dedicated meeting rooms, all with natural daylight and featuring the most up-to-date technologies. For a less formal environment, the venue offers a cosy coffee shop and more casual restaurant. The hotel restaurant serves excellent international dishes with great beers and wines to complement the mouth-watering food. There is also a bar where one can relax at the end of the day with a chilled pint and some good company. Ideally located just 32 km away from Heathrow Airport, this hotel is perfect for business and leisure travellers alike. The bustle and charm of central London is just a 25 minutes' drive away. This property offers the perfect base from which to explore the scenic beauty of South East England. Guests can explore the historical, picturesque city of St. Albans, as well as the magnificent Hatfield House and gardens. The Warner Bros. Studio Tours - The Making of Harry Potter, can also be enjoyed nearby. Spacious, comfortable guest rooms and suites offer everything that visitors will need for a relaxing stay. Flexible meeting and function rooms are available for the convenience of business travellers. An extensive health club is available for those who are seeking relaxation. Classical French cuisine can be enjoyed in the stylish restaurant. This 4 star hotel is located in the suburbs of London and was established in 2002. It is 14.0 Km from the Wembley Stadium and the nearest station is Edgware Station. The Hotel has a restaurant, a bar, a conference room and a coffee shop. All 195 rooms are equipped with hairdryer and air conditioning. 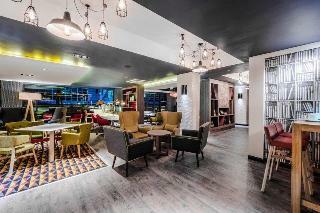 A contemporary hotel with a restaurant and free Wi-Fi, three miles from Warner Bros. Studios and 20 minutes from central London The Holiday Inn® London - Watford Junction hotel is handily placed inside London’s M25 orbital motorway, 10 minutes' drive from the M1. Direct trains from Watford Junction station, two minutes' walk away, reach London Euston in 20 minutes. You can drive to both Heathrow Airport (LHR) and London Luton Airport (LTN) in around half an hour. Watford town centre is walking distance away, so you can reach the intu Watford shopping centre or the Watford Palace Theatre in 10 minutes. You can get some fresh air at the nature reserve in Cassiobury Park, 20 minutes' walk away. Watford FC's Vicarage Road stadium is 10 minutes away by car. 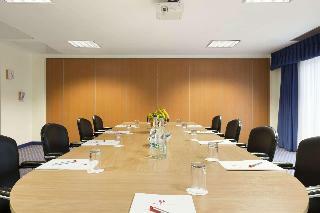 You can host up to 60 guests in the hotel's conference room, which has free Wi-Fi and a large screen for video meetings. You can park for a low price and walk to businesses such as TK Maxx, KPMG and Elavon on the same road as the hotel. Relax in the hotel's colourful open-plan lobby and grab a coffee with friends, or order a glass of wine from the bar to drink on the patio outside. If you're hungry after a workout at the mini-gym, classic British meals are available from an all-day menu, whether you need breakfast, dinner or a midnight snack. Kids stay and eat free. 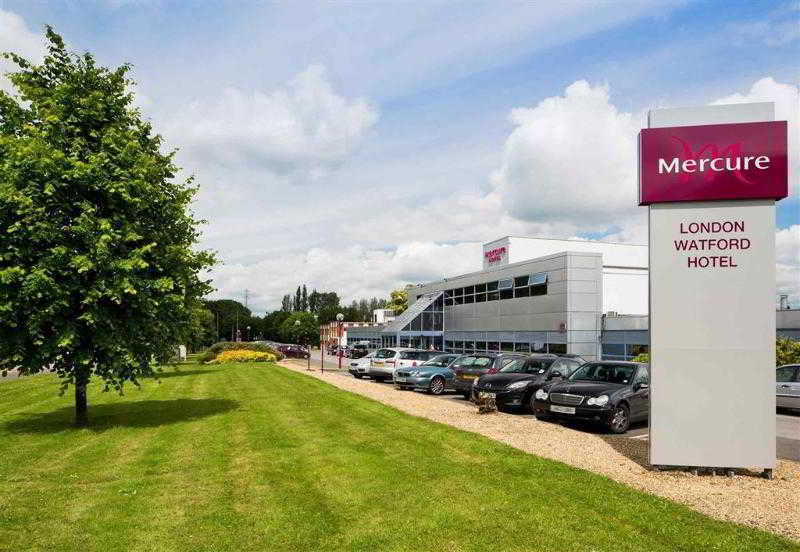 The hotel is located 1 minute from Watford Junction Train Station, just off the A412, with close connections to the M25 and M1 motorways. It is a quiet oasis serving the town centre with direct access to Watford and Wembley, and fast train services into London Euston Station. There are shopping opportunities nearby and Watford Football Club is about 2 km away. The airports of Luton, Heathrow, London City and Stansted are about 28 km, 36 km, 54 km and 73 km away, respectively.This modern accommodation is perfect for business and leisure guests. 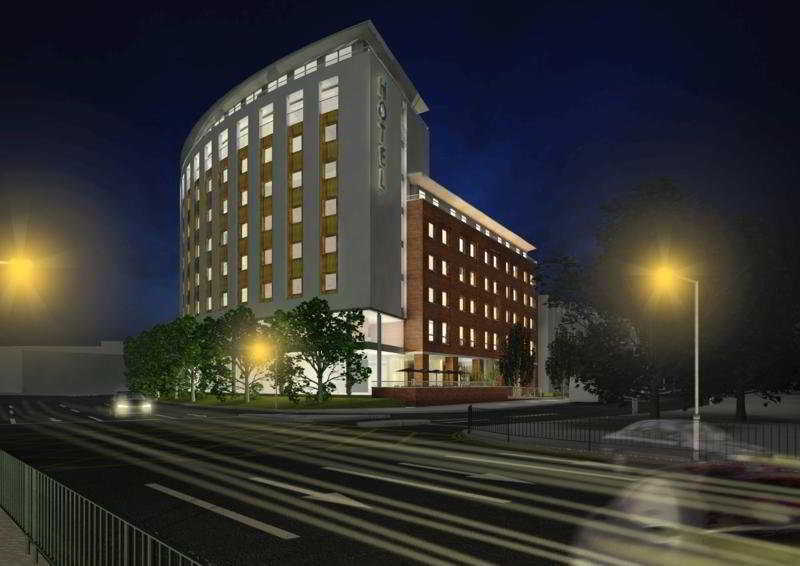 The hotel consists of a total of 98 en suite rooms, conference facilities with 2 meeting rooms and a lounge bar. Guests are welcomed into a lobby with 24-hour reception and check-out services. Further facilities include lift access, a café, breakfast and dining rooms, and WLAN Internet access (for a fee).Each room is air-conditioned, has high-speed Internet access (fees apply), a hospitality tray and a state-of-the-art entertainment package with satellite/cable TV and a radio. The rooms are en suite with a shower and hairdryer. Guests enjoy the comfort of a double bed. Further facilities include Internet access, and both tea and coffee making facilities.There is a golf course about a 5-minute drive from the hotel.The hotel serves a complimentary continental breakfast buffet, while there is a snack menu available throughout the day and an evening set menu.By car from the M25 or M1 motorway: head towards North Watford on the A405 or A41 towards the A412/St Albans Road, turning left onto Station Road. Turn left into Bridle Path to reach the hotel. The hotel is located 0.09 miles / 0.15 km from Watford Junction Station. This elegant hotel is well located in Elstree. Conveniently situated on the M1, the hotel is situated just 26 km from Wembley Stadium and 24 km from Warner Brothers Harry Potter Studios in Leavesdon. Brent Cross Shopping Centre is a short drive away. Elstree and Borehamwood Railway Station is just 3.2 km from the hotel. London Heathrow and London Luton airports are within 56.3 km of the hotel. This property is classically styled. The guest rooms feature soothing tones, for a peaceful ambiance. Excellent facilities are available for the comfort and convenience of every type of traveller. The restaurant, bar and lounge offer excellent dining and relaxation options. Great service was my best friend 30th and the lovely gentleman at reception offered us a complimentary breakfast. Very friendly staff great food and comfortable rooms.